I never knew Bill Hicks until after he died. But whenever I see a list of the top standup comics of all time, I know I can disregard it if I don’t see Bill Hicks listed on it. Whenever standup comics hang around talking about the great ones, Bill Hicks’ name eventually comes up. 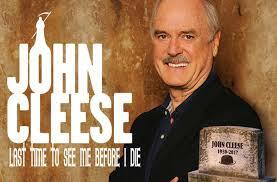 When I was working for John Cleese, we were discussing the same matter. I had heard of him but somehow had never seen any of his performances, and told John that I didn’t think there was ever a full-length Bill Hicks performance on video. “Oh, but there is! I’ve got it!” he told me, and retrieved the bulky videocassette, then insisted I watch it. And he was right. Like all great comics, he spoke truth to power, with a righteous indignation and anger that was also extremely funny. Why haven’t most people heard of him? Well, Bill Hicks passed away on February 26, 1994, twenty years ago this week, of pancreatic cancer. He was 32 years old. During a week when we’re all remembering the loss of another of our great comics with Harold Ramis’ passing, I was reminded of this equally sad anniversary (thank you comicmix.com). This entry was posted in Monty Python, Uncategorized and tagged Bill Hicks, comicmix, David Letterman, Harold Ramis, John Cleese, Miley Cyrus on February 26, 2014 by howardjohnson1985. Beginning improvisers often assume that The Harold, the long form improvisation developed at The Committee and refined by Del Close in Chicago, was named for Harold Ramis. I point out that it isn’t true, and The Committee was performing Harolds before Harold Ramis joined Second City (the detailed story is in my Del biography The Funniest One in the Room). But maybe it should be. And that’s the way I’m going to start thinking of it. This entry was posted in Uncategorized and tagged Chicago, Del Close, Harold, Harold Ramis, Improv, improvisation, improvisers, long form, Second City, The Committee, The funniest One in the Room on February 26, 2014 by howardjohnson1985. Anybody who made even one of those legendary comedies could be proud. Harold Ramis made all of them. But even more importantly, he did it by being kind. Open. Generous. Amazingly accessible. And a truly decent human being. When I was at the iO Chicago last week, I noticed this picture of Harold and Del Close at Del’s “living wake” hanging in the office, and thought about how, although Del was gone, at least Harold was still with us. Sadly, that’s no longer correct. 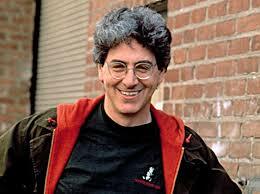 The internet is currently filled with people saying what a fine man Harold Ramis was. Believe me, they’re all true. This entry was posted in Uncategorized and tagged Caddyshack, Del Close, Ghostbusters, Groundhog Day, Harold Ramis, iO, iO Chicago, National Lampoon's Vacation, Stripes on February 25, 2014 by howardjohnson1985. 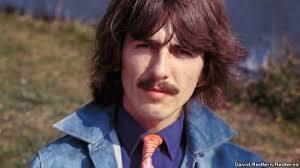 George Harrison was born on February 25, 1943, so I’m going to have a piece of cake while I remember him. This entry was posted in Uncategorized and tagged Beatles, birthday, George Harrison on February 25, 2014 by howardjohnson1985. We both laughed that day. I thought about reassuring him of his many successes, but I knew it wasn’t necessary. He already knew about them, and besides, the failures were funnier. 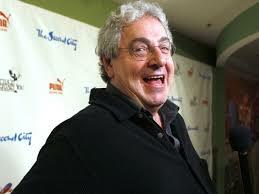 The list of Harold Ramis’s professional successes is long and well-known. It’s worth noting, however, what an all-around great guy he was personally; if he could do anything for you, he would. I certainly did not know him well, although our paths crossed a few times. I interviewed him for STARLOG magazine (when he directed Multiplicity–one of his lesser efforts). He helped me when I was writing The Funniest One in the Room (my Del Close biography). He was in the midst of his publicity tour, promoting Analyze This!, when he got word that his director and friend Del Close was dying. 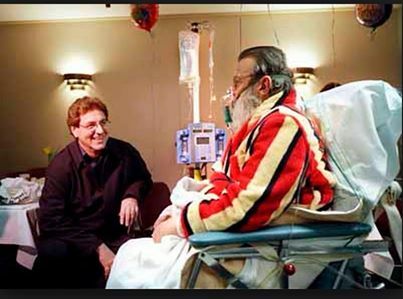 He immediately flew back to Chicago and attended the now-famous “living wake” for Del the night before Del passed away. A very classy guy. 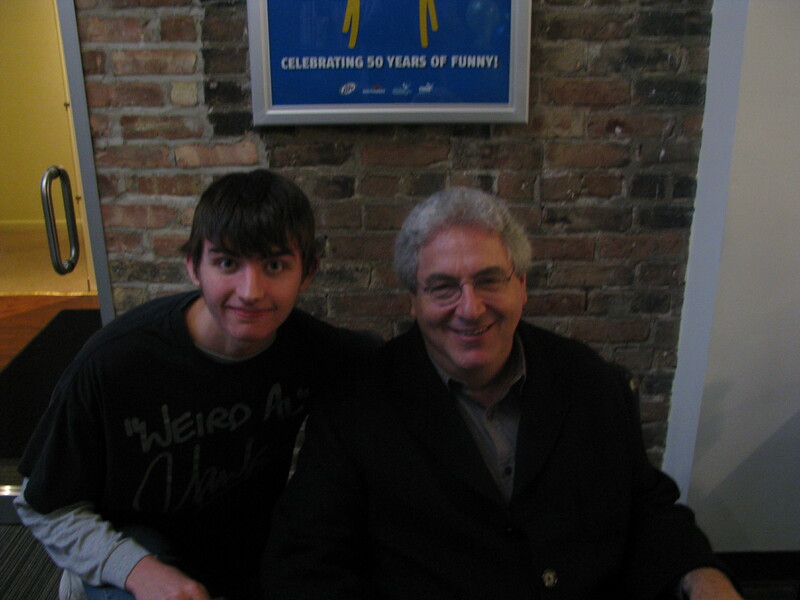 And at the Second City 50th Anniversary in 2009, he gladly posed for a photo with my Ghostbusters-loving son. I didn’t know he was ill, but I was very happy to hear that Bill Murray had been by to visit. The two of them had been estranged for many years, but it’s nice to know that they managed to put it aside when it counted the most. And it should also be noted that Harold was a Chicago guy (admittedly, by way of the North Shore). But when he became successful, he didn’t pack up and move to L.A. Instead, he kept an office and a home in Chicago. This is a huge loss to comedy, to Chicago, and to everyone that was ever lucky enough to know him. Rest in peace, Harold. This entry was posted in Uncategorized and tagged Analyze This, Bill Murray, Chicago, Del Close, Ghostbusters, Harold Ramis, Multiplicity, Second City, The funniest One in the Room on February 24, 2014 by howardjohnson1985. 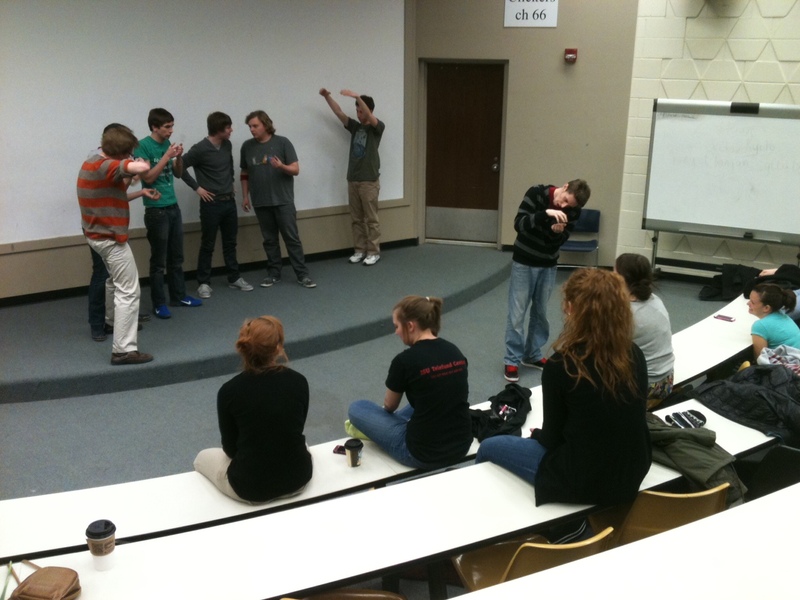 I spent Saturday afternoon workshopping the Improv Mafia, the improv group at Illinois State University, an old dog trying to teach these kids some new tricks. Fortunately, everything old is new again, eventually, and I kept remembering tricks and exercises from many years ago that seemed to work pretty well. I also, in the spirit of Del Close, made up a few exercises that I though would be beneficial to them (though we only had time to work on a couple of them–time flies when you’re improvising). Next Saturday are the finals for the College Improv Tournament, which is organized by my old pal Jonathan Pitts (here’s the info). The top 16 college improv teams in the U.S. will be competing for the national championship in Chicago. These are the regional champions who have advanced from the over 100 teams that competed across the country. Many years ago, Del and Charna Halpern organized what may have been the first college improv tournament. If I remember correctly, there were three teams competing–the Yale Purple Crayon, and two Chicago-area teams. And now, there are hundreds of college teams alone, competing for a real national championship for the seventh year in a row. Good luck to all the improvisers. And if the Improv Mafia wins, and I try to claim as much credit as possible, just ignore me. 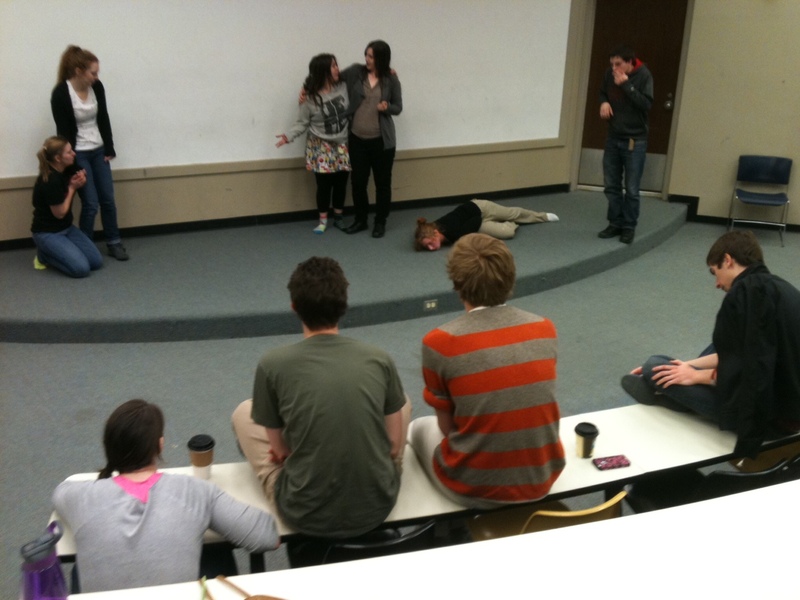 This entry was posted in Uncategorized and tagged Charna Halpern, CIT, College Improv Tournament, Del Close, Illinois State University, Improv Mafia, iO, iO Chicago, Jonathan Pitts on February 23, 2014 by howardjohnson1985. 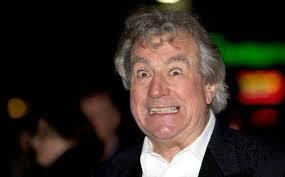 Here’s another selection of outtakes from MONTY PYTHON’S FLYING CIRCUS. These are from Episode 39, the final episode with John Cleese in the cast. Lots of Michael Palin hosting “Grandstand,” a few cricketers, and “wifeswapping,” with Michael Palin in bed with John Cleese. Enjoy. 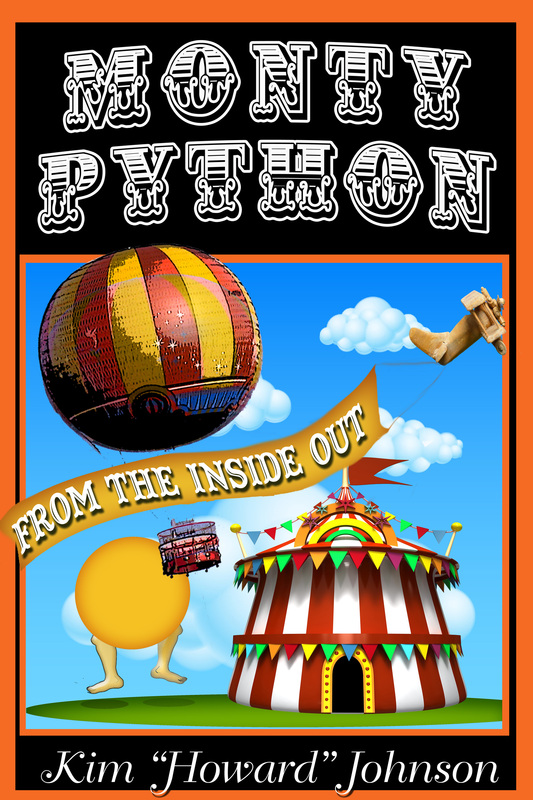 This entry was posted in Monty Python, Uncategorized and tagged John Cleese, Michael Palin, Monty Python, Monty Python inserts, Monty Python outtakes, Monty Python's Flying Circus on February 20, 2014 by howardjohnson1985. When I started doing this last fall, one of my very first posts was about John Cleese and his one-man show during his Canadian tour. At that time, I mentioned that he would be touring Tasmania and Australia at the beginning of 2014. That would be now. So, if you currently find yourself in that corner of the world, you will want to check out John’s show. As I write this, he’s performing in Tasmania, but will be back in Sydney for three weeks starting Monday, followed by six shows in Melbourne. Most of these are sold out, but if you act quickly, you may be lucky enough to score a few of the remaining seats if you click here. This entry was posted in Monty Python, Uncategorized and tagged Australia, Hobart, John Cleese, Melbourne, Monty Python, python, Sydney, Tasmania on February 19, 2014 by howardjohnson1985.